The Liberal Pulpit: Ain't That America? The American Idea (1) is a fluke, (2) includes some values worth keeping and building on, and (3) is in mortal peril. As Americans, we were the inheritors of these great ideas, the descendants of the Europeans who devised them. The Durants never said, "white people are genetically superior," or "are God's favorite." Neither did they provide any other explanation for why these "great ideas and innovations" did not appear in the pre-Colombian Americas, sub-Saharan Africa, or East Asia. Absent an alternative explanation, readers were left with an impression that there must be something special about people of European descent. What else could account for European dominance? Without ever saying it explicitly, narratives of which the Durants' Story of Civilization is typical facilitated a self-justifying loop: we are dominant because we’re superior, and the proof that we’re superior is that we dominate. It took awhile, but cultural anthropologists gradually worked out the specifics of an alternative explanation. Jared Diamond's Guns, Germs, and Steel came out in 1997, and helped popularize and spread what cultural anthropologists had been learning. Diamond told a story of the rise of European wealth and power as rooted in geography. From the fertile crescent westward, temperate climates, suitable soil, and an unusual availability of domesticable animals created the conditions that freed a little time for technological development and that gave rise to population centers where proximity of humans to each other and their domesticated animals led to diseases and eventual immunities not found among other humans. 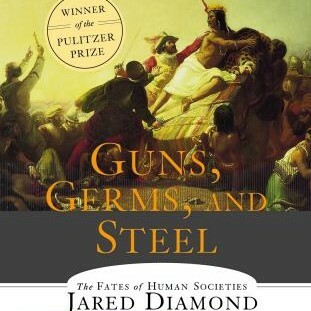 The technology (steel, guns) and the immunity (germs) were the key means by which Europeans came to dominate the globe. 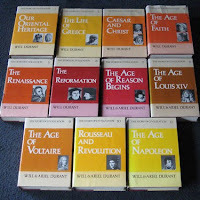 Diamond helped many of us with the concrete details of how it could be that Europeans became so dominant even though Europeans are neither smarter or more virtuous by nature – nor more violent, vicious, and dominating by nature -- than other peoples. Europeans are just the products a particular geography along with some random flukes – and that geography gave us a bit more wealth, a bit more opportunity to play around with ideas for new technology. In the process we had bigger population centers, more disease, and eventually immunities. It’s a fluke that Europeans ended up with guns, germs, and steel – but once they had them, they had the power to overrun much of the world. I do believe, though, that some of those "Great Western Ideas," really are great. Particular favorites of mine include liberal democracy (free elections; a free press; an independent judiciary) and the modern scientific method, both of which began taking shape among Europeans in the mid-seventeenth-century. 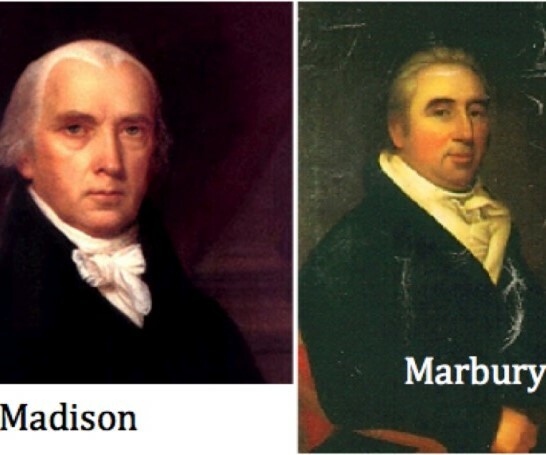 Can we be vigorous in defense of liberal democracy and science while acknowledging that these Great Ideas appeared where they did because of a geographic fluke rather than the beneficent smile of divine providence upon people with paler skin? Can we hope to address Western civilization's problems -- ameliorate the evils it has perpetrated and reduce oppression and exploitation -- by advancing, rather than retreating from, norms of truth and justice? Instead, we are seeing retreat from democratic norms and scientific standards of assessing truth. Turning around will require renewed commitment to those ideals – even as we accept that our ideals are contingent accidents of history. When it comes to the United States of America – the land and the people that made me -- I am equal parts misty romantic and indignant critic. These inspiring principles are my core aspiration for my country, and the ground of my criticism of it. The shame and pride go together. I came of age during the Vietnam War, when there was good cause for being ashamed of my country. At the same time, I was proud of my friends and mentors (most of whom I knew through my Unitarian Universalist church) who marched and demonstrated to end that war. I'm ashamed of our consumptive greed -- of the rapacity of one-twentieth of the world's population consuming one-fourth the world’s resources. Yet I’m proud to inherit the tradition of environmental consciousness of Henry David Thoreau, Aldo Leopold, Rachel Carson, Duane Elgin, Bill McKibben, Joanna Macy -- writers whose turn of mind could not have come from Europe, or Asia, or South America, or even Canada. I'm proud of our independent judiciary, as secured by Marbury v. Madison (1803), our finest innovation of government, and grievously ashamed that this judiciary's highest court could have produced the Bush v. Gore decision. There have been other horrible decisions -- Dred Scott (1857), Plessy v. Ferguson (1896), Lochner v. New York (1905), Buck v Bell (1927), Korematsu v. US (1944), and Bowers v. Hardwick (1986), among the worst -- but none so baldly devoid of jurisprudential principle and so nakedly in service of a partisan outcome. On the bleak day in December 2000 when William Rehnquist, Sandra Day O'Connor, Antonin Scalia, Anthony Kennedy, and Clarence Thomas opted to erase the line between interpreting the law and preferring a candidate in an election, I felt a key part of the American Idea die. I'm proud of our Statue of Liberty, with its open-armed invitation of welcome, and ashamed that so many of my fellow country-men and -women, with willful and passionate ignorance, so approve of revoking that very invitation. All that. And more. We have a capacity for awe and wonder that is the equal of our arrogance and belligerence. Our inquisitiveness is not less than our acquisitiveness. "American spunky can-do spirit" is not a lie. Neither is our history of terrible theft, injustice, and oppression. There is a land before us now -- as there has been for 400 years -- with possibilities for realization of rights, freedoms, and opportunity, shared universally and equally, at a level the world has not seen before. It is, as Langston Hughes said, "The land that never has been yet— /And yet must be." Come, and go with me to that land. This is part 3 of 3 of "The American Idea"
See next: Part 2: Who Are My People?